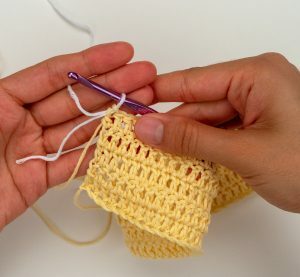 Row 1: Starting with the main yellow yarn color, ch 65. 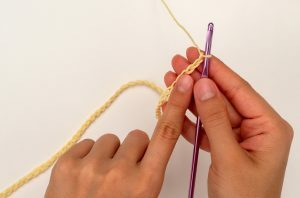 Put 1 dc in the 3rd ch from hook and in in each ch across. 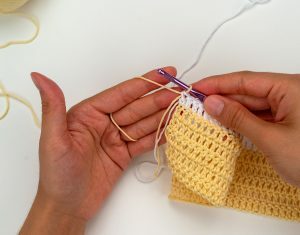 Row 5: Repeat Row 2, EXCEPT when you reach the very last dc, DO NOT complete the last “pull through” – instead, use the next (white yarn) color to pull through and complete that final stitch. 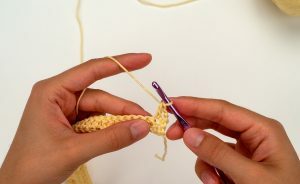 Cut the yellow yarn and tie it to the tail of the white yarn you just attached as pictured. 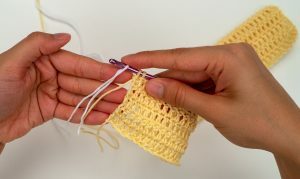 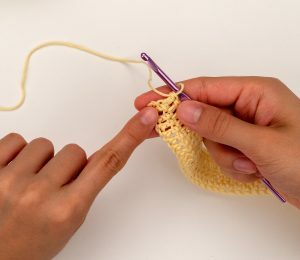 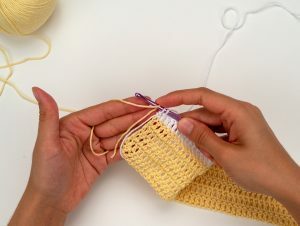 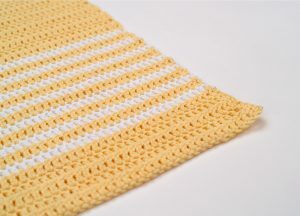 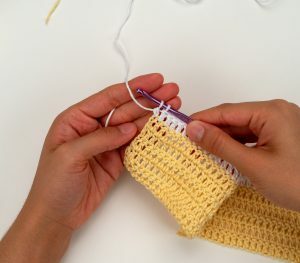 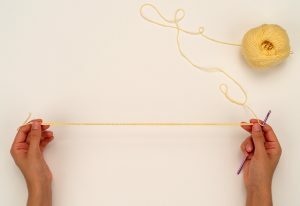 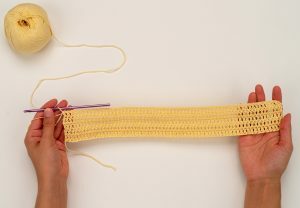 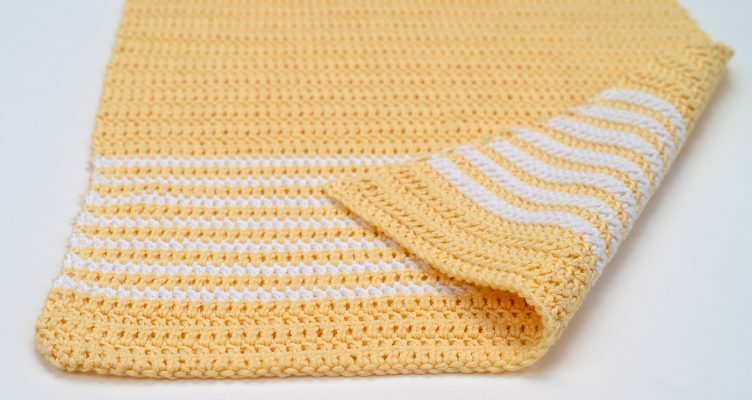 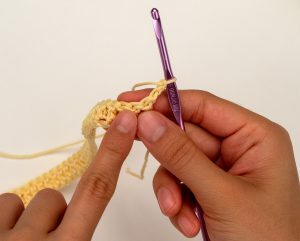 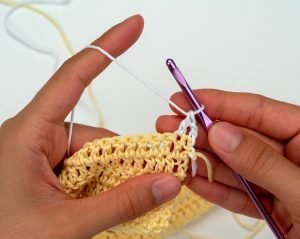 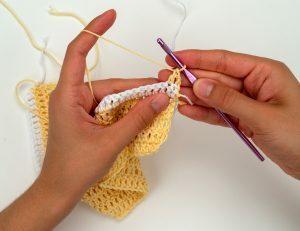 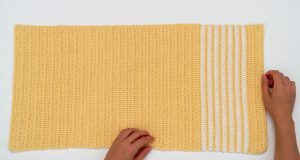 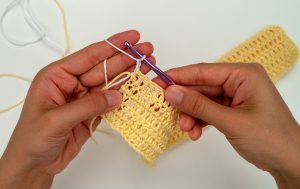 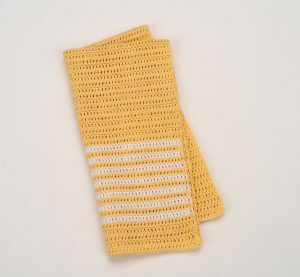 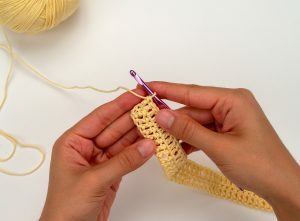 Row 6: (continuing on using the white yarn color) Repeat Row 2, EXCEPT when you reach the very last dc, DO NOT complete the last “pull through” – instead, use the 1st (yellow yarn) color to pull through and complete that final stitch. 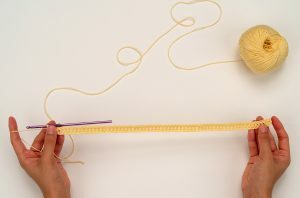 Cut the white yarn and tie it to the tail of the yellow yarn you just attached. 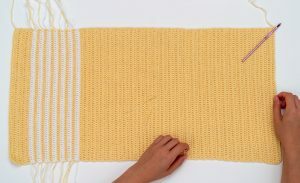 Rows 7-18: Repeat Rows 5-6, alternating colors each row. 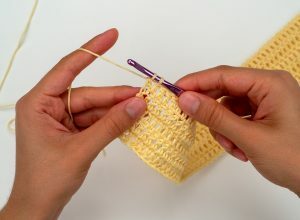 Rows 19-69: (finishing with the yellow yarn color) Repeat Row 2. 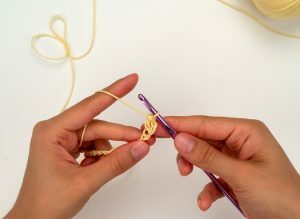 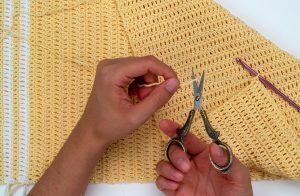 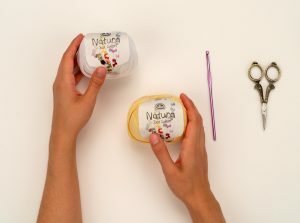 Cut yarn, weave in all ends and trim yarn.